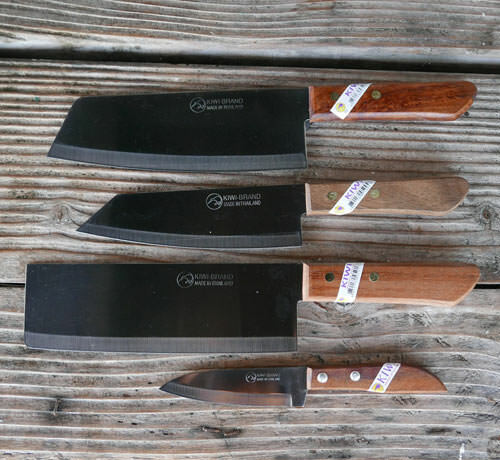 Get this useful set of four high quality Kiwi knives for a nice discount price. Wood handle chef's knife, 12"
Wood handle pointed knife, 11"
Wood handle chopping knife 12.5"
The stainless steel blades are extremely sharp and strong yet light. Made in Thailand and stamped with Kiwi Brand Made in Thailand. See our entire selection of Kiwi Knives.